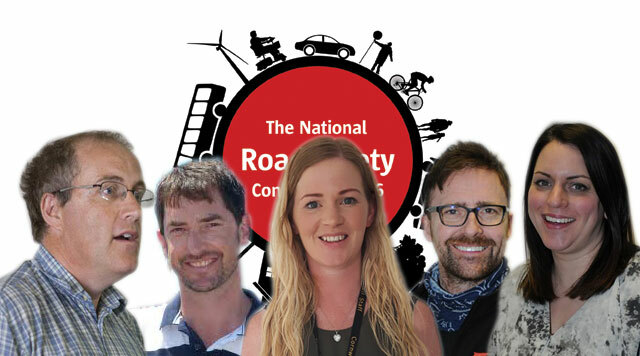 The line-up for the ‘Publicity and Social Marketing’ session at the 2016 National Road Safety Conference is complete, with Paul Hewson and Tamsin Ferris named as speakers in the session. Paul Hewson is an associate professor in statistics at Plymouth University, while Tasmin Ferris is a fire & road safety officer at Cornwall Council. Paul Hewson spent four years as a road safety data analyst and research officer at Devon County Council. In 2005 he was awarded a PhD and retains a particular interest in the role of Bayesian reasoning in understanding the world. He was awarded a prestigious National Teaching Fellowship by the Higher Education Academy, reflecting his success in communicating with non-specialist statisticians; he regularly receives invitations to teach or examine around the UK and further afield. He has continued to research topics related to road injury with a wide range of partners, and in 2016 was appointed an associate editor of the journal Accident Analysis and Prevention. In his presentation, ‘Telling stories without spinning yarns: how to do data analysis in the 21st Century’, Paul will outline a process for interrogating data, using relevant examples from social survey and social media. He will highlight those aspects of the storytelling process that are core in avoiding gross interpretative errors, and argue that all users of data analysis should understand why a valid storytelling process is core to obtaining credible insights from data. Tamsin Ferris has been working in road safety in Cornwall for 12 years, having joined the team from university where she obtained a degree in public relations and journalism. Tamsin has responsibility for planning and managing the road safety team’s annual campaign activity, ensuring local evidence and needs, alongside the national campaign activities undertaken by the DfT and Chief Fire Officers Association (CFOA). Part of her role is direct liaison with fire fighters, utilising them in the delivery of road safety and fire prevention campaigns. In her presentation Tamsin will outline Cornwall’s experience of beginning to utilise fire crews in delivering and supporting awareness campaigns and activities to include meaningful messaging, evaluation and behaviour change techniques. Dr Mark Sullman, senior lecturer in the Driving Research Group at Cranfield University – Road safety interventions aimed at young novice drivers – what is the missing ingredient? Andrew Richardson & Tori Brown, Realsafe Technologies – Empowering the customer: engaging customers to mould user centric campaigns.